According to the U.S. Department of Health & Human Services, there are nearly 114,000 people waiting for lifesaving organ transplants in the U.S. The majority of transplant patients in the Gulf South find unparalleled care and shorter wait times at the Ochsner Multi-Organ Transplant Institute. Why Ochsner for an Organ Transplant? Since its inception in 1984, Ochsner’s team of renowned physicians, surgeons, transplant nurses and support specialists have successfully performed more than 7,000 lifesaving liver, kidney, pancreas, heart and lung transplants in both adult and pediatric patients, and through our living donor program for living liver and living kidney transplants. This makes us the busiest, most experienced transplant center in the Gulf South region. In recent years, Ochsner has strengthened our position as an international leader by achieving the highest national benchmarks for quality. 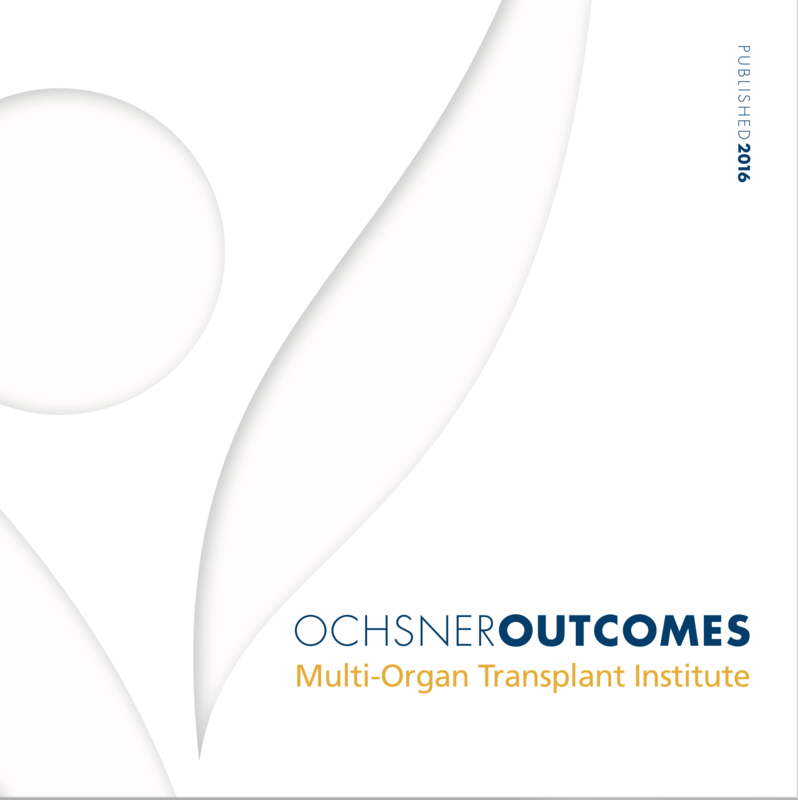 By recruiting some of the world’s leading transplant surgeons and physicians, pursuing clinical and research excellence and adding programs for even the most rare and complex organ transplants, the Ochsner Multi-Organ Transplant Institute continues to grow and serve more patients in our region and around the world. To date, we have cared for transplant patients from 37 states and 10 countries. At Ochsner, it’s all about making sure our patients do better, live longer and experience fewer complications. We combine advanced technology, specialized procedures and a patient-focused approach that leads to successful outcomes. Patients find peace of mind knowing that our transplant success rates and survival rates are greater than the national average. The Ochsner Multi-Organ Transplant Institute has streamlined the care process around the needs of our patients, leading to shorter wait times. A one-day evaluation clinic is offered to help our patients move through the process and get on the waiting list sooner. Along with shorter wait times, Ochsner is known for minimal surgery times, fewer days in critical care and shorter hospital stays. The Ochsner transplant team functions as an integrated team – and our patients play an integral part in the transplant process. Ochsner created a Patient-Transplant Team Covenant to help promote trusting relationships and foster the highest standards of care. The Covenant is a series of commitments made by Ochsner patients and caregivers, who pledge to work together with respect, trust and in partnership. Through the Covenant, Ochsner transplant staff commit to always value patients as people, tell patients the truth with compassion and include patients as active team members. In turn, patients agree to value their caregivers as people, tell the truth with confidence and be active members of the transplant team. The partnerships among patients and the transplant team start with the first visit and continue over many years. Each patient is assigned a transplant coordinator who serves as the main contact person through each stage of treatment – pre, during and after transplant. The patient experience begins with the one-day clinic where the patient sees everyone they need to see on the same day, eliminating the need for multiple visits. At Ochsner, we nurture patients and their families and support their emotional and social needs. This extra measure of care is especially important for transplant patients because of the complexity of their treatment and the life-long nature of our relationship. Want a second opinion for Hepatology/Liver Disease from an expert specialist or surgeon? Schedule a second opinion visit to take place in person, over the phone or via an online virtual visit.